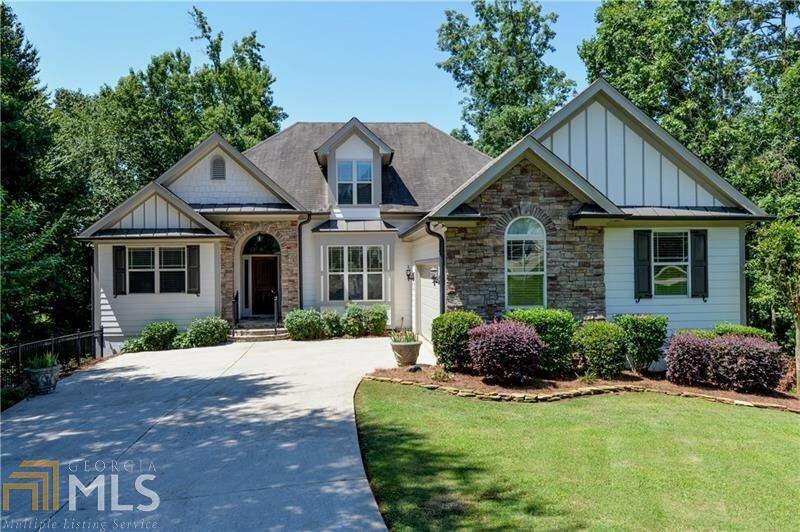 Builder's Personal home on Lake Lanier! MOVE-IN Ready! Fresh exterior & interior paint in the latest colors! NEW site-finished hardwoods in all living areas & staircase to upper level. Split-BR ranch plan + 4th BR & loft on 2nd floor. Formal DR views vaulted great room w/stacked stone fireplace. Enjoy lake views from the white kitchen. Master suite also features access to the large deck overlooking the large backyard leading to the lake. NEW carpet in all bedrooms & loft. HUGE unfinished basement stubbed for bath includes lower deck. Listing courtesy of Re/Max Legends. Selling Office: Berkshire Hathaway Homeservices Georgia Properties.